One of the technological hurdles of our age is to get people and equipment into space more cheaply. SpaceX gets a lot of the headlines around that, with their reusable rockets. And so does Blue Origin, to some degree. Now a small start-up affiliated with Purdue University is tackling the problem and making some headway. The company is called Leo Aerospace LLC and they’re using balloons to lower the cost of putting micro-satellites into orbit, rather than reusable rockets. The balloons will be reusable, but the rockets won’t. Leo Aerospace plans to revive a decades-old method of putting satellites into space. They’re using hot air balloons to lift the rocket and its micro-satellite payload 18 km (11 miles) above Earth. At that altitude, there’s 95% less atmosphere. This means much less drag on the rocket, which translates into smaller rockets with less fuel. This is an intriguing idea, if not for the unfortunate name. The rockoons will be used to launch rockets into sub-orbital and orbital flights. Sub-orbitals are often used by researchers because it gives them access to zero gravity and to vacuum, both of which are necessary for some experiments. According to Leo Aerospace, there’s something revolutionary about their plans. “We’re targeting the microsatellites by saying, ‘You don’t have to ride-share with anyone. We can guarantee you will be our only payload and we will be focused on you.’” – Drew Sherman, Leo Aerospace’s Head of Vehicle Development. They intend on targeting micro-satellite developers. Micro-satellites are often hitch-hikers on larger payloads, which basically means they’re second-class customers. They have to wait until there’s room for their micro-satellite on a traditional rocket carrying a larger payload. 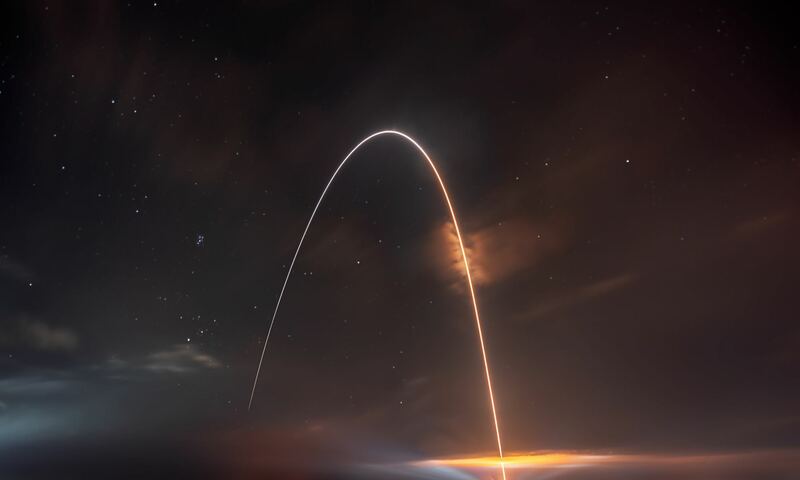 This can mean long delays of several months, and that micro-satellite developers have to compromise when it comes to the orbits they can obtain. It can also make micro-satellite missions difficult to plan and execute efficiently and economically. Micro-satellites are becoming more and more capable, so having a launch system tailor-made for them could indeed be revolutionary. The flexibility of the rockoon system that Leo Aerospace is developing will be intriguing for micro-satellites. Rockoons will give micro-satellites the flexibility they need to operate efficiently. The launch can be scheduled and adapted to the needs of the individual satellite. “Our goal is to give people access to space. The only way to do that right now is to help people get their satellite into orbit. That’s where we want to leave our mark,” said Abishek Murali, Head of Mission Engineering at Leo Aerospace. The rockoon itself is a hybrid of a balloon and a rocket. The hybrid design takes advantage of physics by using the balloon to float the rocket 18 km high before launching the rocket. The rockoon has Leo Aerospace’s own patent-pending technology to control the pitch and angle of the launch, allowing for precision launches. Rockoons were first used by the US Air Force back in the 1950s. But this next generation of rockoons, coupled with modern micro-satellites, will be much more capable than the 1950s technology. Leo Aerospace LLC was started by five then-Purdue University students as a club and then turned into a business. The founders are, from left, Mike Hepfer, head of product development; Drew Sherman, head of vehicle development; Abishek Murali, head of mission engineering; Dane Rudy; chief executive officer; and Bryce Prior, head of operations and strategy. Image: Leo Aerospace. Currently, Leo Aerospace is in the development and funding phase. They’ve obtained some funding from the National Science Foundation, and from a venture capital firm. They have about half of the $250,000 they need. They plan to conduct their first sub-orbital flight in 2020, and to launch their first micro-satellite into orbit in 2022. They intend to use existing approved launch sites. Leo Aerospace was founded by five then-students at Purdue University. Leo started as a club, but the former students have turned it into a business. And that business seems to have a bright future. They conducted a customer discovery and market validation study and found a large demand for a better way to launch micro-satellites.